of cold cylinder. The linear pressure of paper roller and cylinder is controlled by the pneumatic pressure in the main cylinder and auxiliary cylinder, which is adjustable through control box. It can make paper from the paper machine into rolls with uniform tightness to meet the requirements of different kinds of paper. 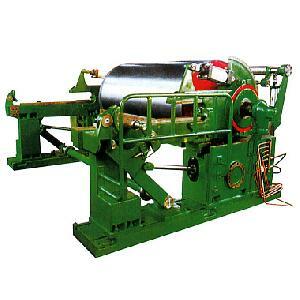 The machine is available in paper machine line shaft drive and sectional drive.